By the fall of 1864, hints of the ultimate outcome of the American Civil War could be discerned. For Regina Shober Gray, the period was also marked by worry about her family members’ health; she looked for consolation to the minister of King’s Chapel, and did not always find it. It is very evident my poor brother John [Shober] will never be any better than he is now. His memory does not rally from its confusion at all; but happily, he is gentle and calm, and in the main content, except when now & then a sort of painful consciousness of his own mental failure comes over him momentarily. He is so sweet spoken and lovable, so affectionate to all that it is a real though mournful pleasure to be with him. His life is so important and precious to them as the head of the family – he is at once main-spring & balance wheel there – and we know there are elements of discord, now kept in abeyance through respect and consideration for him that may hereafter, when he is beyond our love, spring into active life. His life, wreck though it is now, is still invaluable to us all. Susan [Shober]’s health too gives a deal of anxiety. She is certainly more invalided and suffering of late – and Mary [Shober] is poorly though she will not acknowledge it – and it distresses us so, that we can not induce her to go out of the house. If she would but walk daily for a half hour round Rittenhouse Square, whence she could be summoned at a moment’s warning , it would do some good – but she will not; and has not left the house for six months! …The country is rejoicing over Sheridan’s splendid victory in the Shenandoah valley, but how does the paean of victory fall on the ears of those who mourn the death of such men as Col. Wells & Col. Lowell? Does the pride of success, the loyalty of the patriot, console for such heart-grief? Can the young wife, scarce a year since his fair bride, feel then any success is worth the death of such a man as young Charles Lowell? Can his poor mother whose younger son died a hero’s death 2 years ago, once more bring a patient heart to bear up under this anguish – her first-born and her last son? and two such noble sons – so pure, so brave, so cultured, so worthy of all honour & respect. And one of them shot in the west by the sea! And are wanting a great song for America free. Ah poor heart – that has bravely offered up its pride and hope for country’s sake – and takes back only the grave! I went to the German opera on Thursday night. It was “Fidelio” – and drew a packed house. It is glorious music. Sunday, 30 October 1864: A cold Autumn day – Mary is staying with Lucy Bowditch at Jamaica Plain. Frank & I went to church, and heard a well-written & earnest discourse from Mr. Foote on the negative piety, the formalism & indifference of the present day. His sermons are not strong assuredly, but earnest refined & poetical and show the result of much painstaking. He thought if we would carry into our religious life and thought, the same measure of zeal for duty, faith in the highest ideal of right & truth, which led such men as Charles R. Lowell to the martyr’s death for Country and Rights sake, amidst the roar of artillery & the rush of charging squadrons, we should find therein a blessed regeneration of saving beliefs and Christian love. Col. Lowell was buried with the honours due to a Brig. Gen., [his] commission having been made out before his death. The services were held in the Chapel of Harvard College and were very impressive. But oh, how our country is to suffer for years yet to come, for want of these very men now falling so thickly round us, in the very prime and flush of their rich & noble early manhood. This is the true wealth which we are losing. The men who should have been for 40 or 50 years to come the leading minds of their day and generation – men whose practical ability, whose fidelity to duty, grasp of thought, refinement of taste, and breadth of culture would have been a bright and an ennobling influence on all within their sphere. The Rev. Henry Wilder Foote (1838–1889). The diarist’s elder children Mary Clay Gray (1848–1923) and Francis Calley Gray (1846–1904). Mrs. Gray’s younger children Samuel Shober Gray (1849–1926), Reginald Gray (1853–1904), and Morris Gray (1856–1931). John Bedford Shober of Philadelphia (b. 1814) died 27 November. Between the diarist’s unmarried sisters and their younger brother. Susanna Budd Shober (1823–1898? ), a source of concern for her siblings; she was married to Dr. John Davies of Fayal in the Azores 1867–81. Colonel George Duncan Wells (1826–1864) died on 13 October. Colonel Charles Russell Lowell Jr. (1835–1864) died on 20 October. 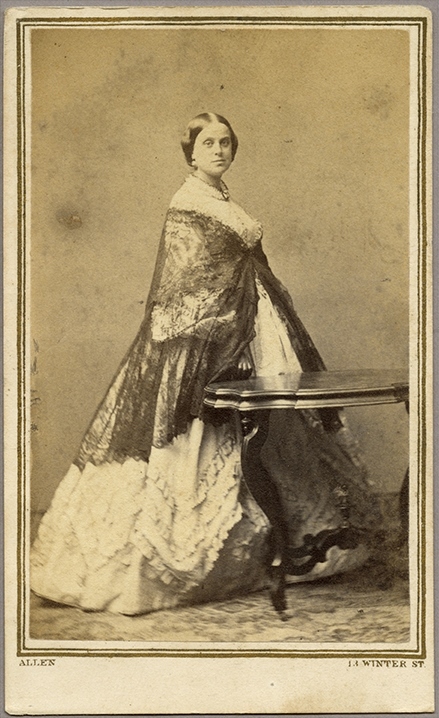 Josephine Shaw (1843–1905) had married Colonel Lowell in October 1863. Anna Cabot Jackson (1811–1874) was married to Charles Russell Lowell 1832–70. Lieut. James Jackson Lowell (1837–1862). The original line reads Italy. The opening lines of Mother and Poet (1861) by Elizabeth Barrett Browning (1806–1861). Fidelio (1814) by Ludwig van Beethoven (1770–1827). Lucy Bowditch (1850–1918), who married Richard Stone in 1875. “Lieut. James Jackson Lowell (1837–1862)” – Scott is there a connection here to your Jackson line? Scott Steward, do you connect with Lt. William Steward b. 1691 Linithgow, W. Lothian, Scotland, m. Sarah Church? If so, do you have anything beyond William. I have son, Oliver Cromwell Steward, b. Stonington, CT m. Rebecca Pendleton b. Westerly, RI–both d. Clarendon, VT.